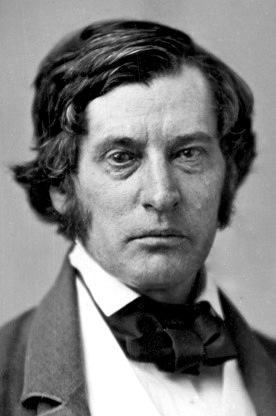 Charles Sumner did not have a high opinion of the defenses that Stephen Douglas and others had for all the injustice and mayhem that had taken place in Kansas. The seizure of the territorial government by force, threats, and massive voter fraud by Missourians entirely disqualified it as a legitimate organization to his mind. But Douglas, Andrew Butler, and other senators defended them all the same. It thus fell to Sumner to pick their defenses apart. First he dismissed the Apology Tyrannical, which held that once governor Andrew Reeder recognized the election results they had to stand. Then he cast aside the Apology Imbecile, where the proslavery senators averred that -whatever happened in Kansas- the Congress and Presidency had no power to intervene. which is indeed, in the nature of a pretext. It is alleged that a small printed pamphlet, containing the “Constitution and Ritual of the Grand Encampment and Regiments of the Kansas Legion,” was taken from the person of one George F. Warren, who attempted to avoid detection by chewing it. Gentle Readers, I wish I could tell you more of this story. A spot check revealed other references, but only to the bare fact of Warren chowing down. You may remember the Constitution and Ritual from past posts. The Kansas Legion, aka the Kansas Regulators, organized as a paramilitary force to defend antislavery Kansans and occasionally burn down proslavery homesteads. Jacob Branson and Samuel Wood served in it. The Free State leadership denied knowledge or approval, officially. Maybe that passed scrutiny in Washington and among people sympathetic to the cause, but their connection appears more like an open secret in Kansas. Sumner’s foes argued that the Legion justified harsh measures on the part of proslavery men. They had something like a terrorist organization about and it required dealing with. That position makes perfect sense for a proslavery Missourian or Kansas who equates opposing slavery with incitement to race war. They had to do what they did to save the community from ruin, essentially in self-defense. To answer that, Sumner first dismissed the Legion as a “poor mummery of a secret society, which existed only on paper.” If it did exist, though, it proposed only to enlist antislavery men to defend the Constitution of the United States. How could any patriotic American object to such a goal? While John Stringfellow and Robert Kelley stewed over their loss on the Wakarusa, but people of Lawrence had the matching triumph to enjoy. They not only survived, emerged from the crisis with official sanction for their military companies. Given now close it came to destruction, one can hardly begrudge them a party. A man did, however, lose his life to their enemies. Thomas Barber died during the siege. With hostile forces dispersed, they took the time to remember him. a person of very exemplary character, formerly from Ohio. He was forty-two years of age, a gentleman of large property, and leaves a devoted wife to mourn his loss. Those who looked upon his cold and ghastly form pledged themselves anew before heaven that they would drive the demon, who could commit such barbarities in the name of law, from the Territory, or they would die in the attempt. Making allowances for the desire to put on a manly display, and for George Washington Brown’s understandable desire to talk up the resolution of the defenders, the fact remains that what happened to Barber could have happened to anyone. If people didn’t quite fall to their knees and rededicate themselves like something out of a revival meeting, then they could look on Thomas Barber and see proof that the situation required the last full measure of devotion. Thereafter, Lawrence gave Barber a temporary burial. The arrival of peace occasioned a more proper interment, recounted in the December 22 Herald of Freedom. Some time had gone by since the funeral, but George Brown explained that he could not print on account of his paper freezing and the exposed state of his office. I think we can forgive him. read an interesting address in which he detailed the origin of our difficulties with Missouri, and traced them to their termination. He showed that Mr. Dow and Mr. Barber were the first martyrs of freedom in Kansas, and as such, monuments should be erected to their memory. The audience would probably have expected Dow and Barber to come together, but Barber’s death came under rather different circumstances that Dow’s or the two other free state deaths to date. Those took place in the context of personal disputes. One could understand them as private arguments exacerbated by politics. 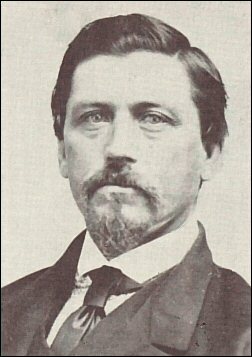 Even when Patrick Laughlin killed Samuel Collins, the affair played out on the level of individuals and in the context of Laughlin accusing Collins of involvement in the Kansas Legion. Barber met his end at the hands of a hostile proslavery army, while himself enrolled in an antislavery force. While not a huge escalation, Barber’s death pushed things some measure further than they had gone before. The dreaded direct clash between militants had come, if not yet on the grand scale feared. The Wakarusa peace treaty commenced with some face-saving and proceeded into apparent concessions from the people of Lawrence, but concessions drafted in a decidedly ambiguous way. Proslavery and antislavery partisans could easily read promises not to impede legal process or as a victory for their side, depending on what they considered legal process. Lawrence’s leading men promised to use their influence to aid Wilson Shannon if called upon for legitimate purposes, but they sat in judgment of those purposes. If these concessions removed the stated reason for the proslavery army to come and invest the town, then they did not necessarily remove the substance of the complaint. Charles Robinson and James Lane left open the door for them to continue essentially as they had, whilst giving Shannon just enough of a fig leaf to try disbanding the besiegers, and extracted from him the promise that anybody the army had captured would see release into their hands. Shannon might not have loved these dubious concessions, but he wanted the army gone and bloodshed averted above all else. If he had dreams of settling Kansas politics along proslavery lines once and for all, as others had, then they died with news that Missouri had once again come to Kansas. Prosecuting that case now would only prolong the crisis. Shannon also had to grant some concessions of his own. to use his influence to secure to the citizens of Kansas Territory remuneration for any damages suffered, or unlawful depredations, if any have been committed by the Sheriff’s posse in Douglas County. I doubt that anybody received a dime of that remuneration, but it made for a reasonable enough demand. It might also have saved some face for the free state leadership, who could say that they came away from the table with something aside bare peace itself. Thus they might look less like they had pleaded for the governor’s mercy and accepted his rescue, as Shannon would later paint them, and more like an honest belligerent party. The agreement that the free state men could keep their arms would go further to that end, however probably the typical free state militant understood his gun as his personal property. As such, it wouldn’t have constituted an acceptable concession at all but rather an egregious affront. What had they done, in bearing arms for their defense and harming none, to warrant confiscation? that he has not called upon persons resident in any State to aid in the execution of the laws, and that such as are here in the Territory are here of their own choice, and that he does not consider that he has any authority or legal power to do so, nor will he exercise any such power. Though they probably didn’t believe him, Wilson Shannon appears to have told the truth far better than the free state men had. They swore up and down that they had no paramilitary about with the design of resisting Kansas’ laws, whilst the men who signed the treaty both held high offices in the Kansas Legion that proposed to do just that. Neither the free state writers then or after, nor subsequent historians, have uncovered any evidence that Shannon himself sent a summons to Missouri. The territorial Secretary, Daniel Woodson, had done that but Shannon himself seems innocent. Thus Shannon took what everyone recognized as a lie in trade for his true word, though the free state men undoubtedly saw it otherwise at the time. we wish it understood that we do not express any opinion as to the enactments of the Territorial Legislature. Missourians needed to go home. In exchange for that, Lawrence promised that the dispute which brought them across the border and so fired their passions, would continue unabated. The Wakarusa peace treaty declared the entire Coleman-Dow–Branson–Jones affair a huge misunderstanding. Wilson Shannon, away at Shawnee Mission, might very well have misunderstood events. Samuel Jones, in seeking Lawrence’s ruin, and Samuel Newitt Wood, in rescuing Branson from Jones, certainly did not. But the matter did descend on Lawrence through the action of Wood and his men on their own rather than by some official sanction of the town. In the interests of peace, the people of Lawrence declared that they knew nothing about the rescue until Wood had done the deed. They also rather implausibly declared that they had and intended to have no organization dedicated to resisting the laws of Kansas. The signatories to the treaty, James Lane and Charles Robinson, served as officers in no such organization. Robinson certainly had no fancy sash to mark his status as one. pledge ourselves to aid in the execution of the laws, when called upon by the proper authority in the town or vicinity of Lawrence. And that we will use our influence in preserving order therein; and we declare that we are now, as we always have been, ready at any time to aid the Governor in securing a posse for the execution of said process. The free state party sometimes declared it knew no state officers appointed in Kansas. Yet its leaders found it in themselves to recognize Wilson Shannon when he came before them with an offer to save their lives if they would kindly save his career. This sounds like a capitulation, and rightly so, but they promise to use only their influence to serve process, and only in and around Lawrence. They make no promise about supporting Shannon elsewhere, and by placing themselves in charge of process the free state men positioned themselves to exert a de facto veto over said service. We will form posses for you around Lawrence and we, not Shannon or Jones, will implicitly decide when the situation calls for one. Provided that any person thus arrested in Lawrence or vicinity, while a foreign force shall remain in the Territory, shall be duly examined before a United States District Judge of said Territory, in said town, and admitted to bail. that all citizens arrested without legal process, by said Sheriff’s posse, shall be set at liberty. If Jones has anyone, he must release them. If Jones wants to arrest anyone, he will only do so with the cooperation of Lawrence. If they do cooperate, he must surrender his prisoner to federal custody and that prisoner must receive bail. This all comes extremely close to declaring status quo ante bellum, as if nothing had happened at all, but with just enough of a fig leaf for Shannon to say he did his part and have an excuse to send the besiegers home. 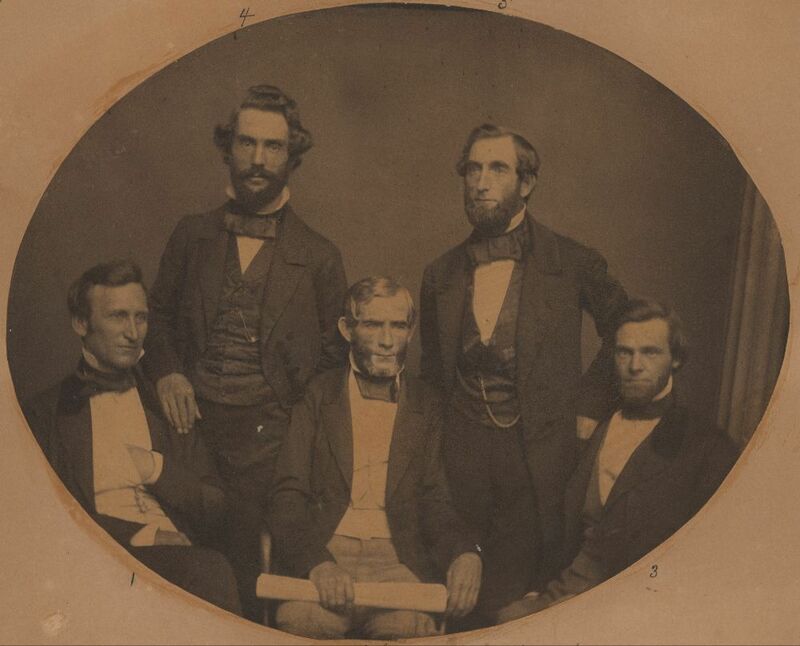 The Barber party’s would-be captors had intercepted, questioned, and then finally shot at them in hopes of securing an arrest, a body, or some mix of the two. In return, Robert Barber fired back at them. Barber brother-in-law Thomas Pierson wanted to return fire as well, but had trouble drawing his pistol. The two who rode to intercept the party drew back, conferred, and then started for the larger party they’d detached from. Maybe they intended to give up on the Barbers, but the proslavery party outnumbered and outgunned them. More likely they wanted reinforcements. Thomas W. Barber then turned to us and said, “Boys, let us be off;” we started accordingly, at a gallop, on our road. At this time, the two men were still galloping towards their party. My brother and myself rode side by side; my brother-in-law, Pierson, who had a slower horse, following in our rear. After riding in this manner for about a hundred yards, my brother said to me, “That fellow shot me;” he smiled as he said so. Robert understandably paints his brother as a model of manly restraint and innocence. This bit of odd humor seems out of place, but the more telling for it. Sudden pain and injury, especially when under other stress, can bring out the surreal in a person. Thomas’ brother asked where the bullet struck. Thomas indicated his right side. I then remarked, “It is not possible, Thomas?” To this he replied, “It is,” at the same time smiling again. I do not think that he realized how badly he was hurt. After uttering these-his last words-he dropped his rein, and reeled in his saddle; seeing that he was about to fall, I caught hold of him by the left shoulder, grasping the loose overcoat which he wore. I held him thus for nearly a hundred yards; I could then hold him no longer, and he fell to the ground; as he did so, I slipped from my horse, at the same time calling out “Whoa;” both horses stopped immediately; I bent over my brother, and found that he was dead, and felt that we could do nothing for him. As Robert Barber examined the body of his brother and spoke with Pierson, the proslavery men rode toward them. this they did by approaching us on our right, and placing themselves in front of us, or nearly so. They came up at a trot, while we were walking our horses. The remainder of the approaching party had in the meanwhile halted in full sight of us, but at a distance of from two to four hundred yards. However innocently this all began, by now the Barbers had to know they’d come into trouble. One of the riders put his horse across the road, only yards away. The other addressed them, demanding they halt. The Barbers obliged. After halting us, the rider on the grey horse asked, “Where are you going?” My brother Thomas W. Barber-who answered for our party-replied, “We are going home.” He then asked us, “Where are you from?” my brother answered, “We are from Lawrence.” “What is going on in Lawrence?” was the next question. “Nothing in particular,” said my brother. my attention was at that moment taken up with drawing my own pistol, which was belted on behind my back, in such a manner that I was obliged to seize it with my left hand; this I did under the belief that we were about to be attacked. The spokesman already had his gun out. Robert didn’t need much of a crystal ball to see how things would soon go. As I was changing it [the gun] into my right hand to fire, I saw their spokesman-the man on the grey horse-discharge his pistol at my brother. I did not think at the time that my brother was hit. This man, after firing at my brother, rode right around into the road, and halted some ten paces in our rear. I wheeled my horse and shot at him, but missed; I cannot say that he returned my fire, but on changing my position I saw the smoke of the pistol of the man on the sorrel, who was still in his old position. I then fired a second barrel at him, but missed, as I had done before. After Robert fired, the two riders drew back and conferred not quite within his hearing. Robert makes this all sound very formal and restrained, but it must have felt differently at the time. One has the sense that the intercepting riders did not expect any kind of resistance and drew back to decide what they ought to do in response. They must have decided in favor of reinforcements, as they then made for the rest of the patrol at a gallop. Robert fired after them, missing again. The free state movement knew that they played with fire in repudiating the territorial government and its laws. Going further and creating their own government raised reasonable questions about just how far they intended to take things. Establishing their own militia, even if for self-defense, understandably gave further cause for concern. That apparently some, like Charles Dow, went in for burning proslavery Kansans out of their claims took at least some fringes of the movement beyond rhetorical protests and into serious crimes. A group that could burn homes down at will generally deserves a serious response from law enforcement, whatever its politics. To further underline the point, a Kansas Legion man seized a lawful prisoner from a sheriff engaged in the normal course of his duties. Authoritarians often invoke the frailty of civil institutions in the name of their repressions, but sometimes reasonable people of far more democratic mores make the same invocations. Now and then, they even have facts on their side. The entire tangled prelude to the Wakarusa War makes much more sense when one keeps this in mind. The politics of the day, and our own, make it very easy for us to throw in with the free state party all the way. We have the luxury of time and distance to insulate us from any consequences of that decision. Nobody will burn our homes down or shoot us dead for our opinions about politics in territorial Kansas. Even if we disagree with the proslavery radicals, Kansas still offered the spectacle of armed men apparently ready to pursue their agenda by force. If we admit that fact as a motivation for driving antislavery Kansans to arms, then we must admit it the other way around as well. The free state leadership knew the risk of that very well. 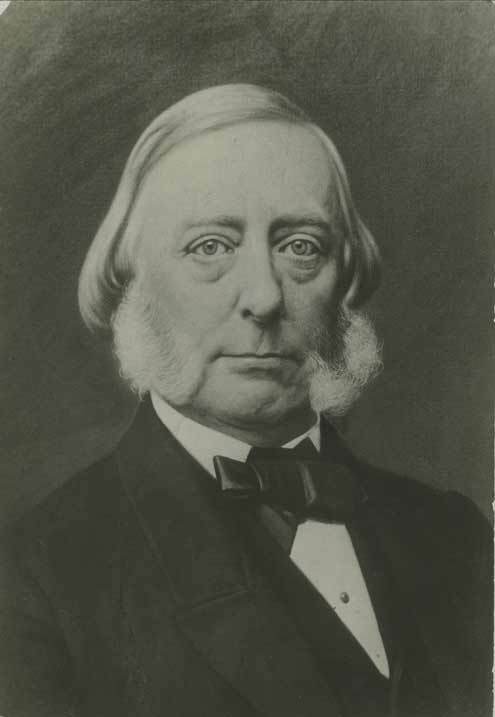 They, like Wilson Shannon, sought a peaceful resolution to the crisis at Lawrence. 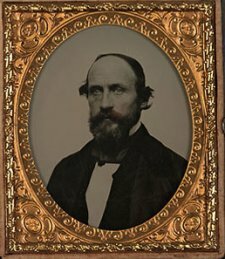 Samuel Newitt Wood, a Kansas Legion man, had gone and rescued Jacob Branson from Sheriff Samuel Jones’ custody. But he did not go with the blessing of Charles Robinson, James Lane, or other Kansas luminaries. Nor did Lawrence rush to endorse his action after the fact. Rather he and the other rescuers found themselves asked to leave town. All the warlike preparation that the Kansas Legion did could have had offensive applications, but nobody until Wood had actually used force against the legal government of Kansas. While violent threats flew back and forth, it appears that most political violence in Kansas up through the winter of 1855 happened relatively spontaneously and on a person-to-person level rather than with official imprimatur. Had such an undertaking gone off, the free state movement risked dramatic retaliation from both proslavery radicals and likely the United States military. One simply doesn’t, for example, seize public property at gunpoint and expect nothing to happen in response. Nor should one expect such impunity. If private individuals do so, then we soon find ourselves on the express train to anarchy. Instead of civil society, one finds oneself forced to align with a gang of violent thugs for protection and hope that it extends not just to protection from them but also other such gangs. While the occasional enthusiast might cast himself as the white-hat-wearing, gun-toting hero of such occasions, in the real world the most ruthless and brutal tend to rise to the top. We have the police and, if necessary, the military to prevent that sort of thing. Had antislavery Kansans found the 1st Cavalry arrayed against them and gone to war against it, they would have found their support almost everywhere go silent. Many probably would have gone all the way over to cheering for their suppression. Why wouldn’t they? The Constitution calls levying war against the United States treason. Antislavery Kansans could hardly better discredit themselves with the nation than to cross that line. The traditional remedy for doing so involved gunpowder and ropes, a precedent most famously remembered in the case of Lee v. Grant. Even without the benefit of that precedent, it would take a very dull free state man to miss the fact that seeking out armed confrontations risked the federal hammer coming down. Thus, by and large, the free state movement up through the Wakarusa War exercised the better part of its martial valor. This same principle holds on a smaller scale. If we see someone wandering around with a gun outside our home, most of us will probably call the police. This doesn’t take a strange phobia about firearms, but only a basic knowledge of what a bullet can do to a human body. If you see an armed person wandering about, you expect that person intends to shoot something. The police come and discourage that, one hopes successfully and without further violence. Except when they don’t. Not everyone learned circumspection from studying Kansas, anything else. Not that long ago, a man who stole millions of dollars from you and me had an armed standoff with law enforcement that ended to his satisfaction. That Cliven Bundy has made off with far more than a typical bank robber’s haul should, perhaps, surprise us. This kind of plot twist one expects from a supervillain rather than a real world rancher. If this happened in another country, we’d have a talk about armed militants about now. A story that begins with the line “armed gunmen seized property” generally ends with the lines “shot by police”. Yet with these armed militants, the authorities don’t seem all that concerned. One can understand hesitancy, especially given the federal government’s record a few decades back in handling standoffs, but so far it doesn’t seem that law enforcement has besieged the gunmen. Instead they’ve just asked people to stay away and monitor the situation while working for a peaceful resolution. I could say that I can’t fault the circumspection, whether here or in 1855 Kansas. Even if people have clearly broken the law, one naturally wishes to keep violence to a minimum. One must consider bystanders, though in this case the miscreants have taken over a building that seems quite remote. It probably doesn’t hurt to take one’s time out in Oregon. As an isolated event, the affair raises concern but not necessarily outrage. Yes, we have a group of men with guns breaking the law and encouraging others to join them. This cannot stand, but it doesn’t mean we need to call in the tanks or a drone strike. Thus Americans, ensconced as always in our city on a hill, demonstrate our most ancient and dear values to the watching world. Gentle Readers, I left you with a body and it doesn’t do to leaved them sit too long. Contemporaries called the crisis at Lawrence arising out of the tangled Coleman-Dow–Branson-Jones dispute the Wakarusa War, but most of it involved rather more warlike rhetoric and warlike preparations than actual war. It must have felt very much like one at the time and easily could have gone that way, but the actual carnage proved largely limited to one man. Thomas Barber drew the proverbial short straw and in so doing proved that the proslavery cordon about Lawrence capable of more than imposing inconvenience and occasional terror. At this time, while the Missourians had invested Lawrence, they found it difficult to keep it closely guarded to the south and west. There was a distance of twenty miles between the camp at Lecompton and Wakarusa. General Atchison had a force on the north side of the Kaw river, opposite Lawrence; but, while it was guarded thus on three sides, the only means of preventing people from leaving Lawrence for the south of the territory was by horse patrols, which scoured the country. The senator from Missouri appears once more. He clearly means to imply that David Rice Atchison has command of a camp, and Bourbon Dave had certainly come to Kansas to raise Hell before at the head of an army, but neither Alice Nichols nor Nichole Etcheson puts Atchison in even unofficial command this time around. Nor have I seen indications of that in the primary sources, aside from Phillips. Rather it seems that Atchison came into Kansas in early December, 1855, at the request of Wilson Shannon. The Governor hoped that Atchison, like Albert Boone, could help restrain the proslavery men. He might have had the right of it, as he mentions Atchison’s help alongside Boone’s in his Howard Report testimony. Pierson and the two Barbers were, at the time of this affray, regularly enrolled as privates of the Bloomington Company (D), of the 1st Regiment Kansas Volunteers, then serving in Lawrence, to defend that place against the so-called “Army of Invasion,” under Governor Shannon; they were absent on leave at the time. While shooting men on leave doesn’t make for the most equal of contests, the Barbers and their antagonists from the proslavery force appear equally belligerent parties. As such, we have upon us the seed of the very conflagration that Wilson Shannon and Charles Robinson feared, but Samuel Jones and William P. Richardson fairly lusted after: armed (bar Thomas) militants in both parties’ paramilitary would clash violently, with fatal result. we observed a party of from twelve to fifteen mounted men to the right of the California road, in which we were travelling. This party was apparently making directly for it. They were over half a mile from us when we first saw them. We then left the California trail, to take a cross road, to the left, which was the shorter one to our residences; this was immediately after we discovered the horsemen. We had at this time no idea that they intended to interrupt us, nor did we quit the highway for the purpose of avoiding them. We had left the main road by some half a mile, when we saw two of these mounted men advancing before the rest, as if to cut us off; this they did by approaching us on our right, and placing themselves in front of us, or nearly so. If Robert sounds a bit too innocent, then we should keep in mind that neither side wore issued the rank and file distinctive uniforms one could recognize at a great distance. Most likely everyone came in whatever they wore every other day. A militant could look exactly like an ordinary person going about his business. Even the presence of large firearms wouldn’t strike an ordinary observer as all that remarkable. The Barbers could quite reasonably have suspected nothing until the two men peeled off to intercept them.